flashzombies.com - "Resident Evil (Playstation/PS1)"
First off I would like to say, that when this game came out, I did not have a Sony Playstation console. I played it at a store and being used to Super Nintendo graphics, loved it right away. I sold tons of games to FuncoLand (Gamestop Now) and bought it. If you ever sold games to a videogame store before you know that they rip you off, and give only 2-3 bucks a game. What made me like it most at first was the live acting movie clips, many games have done this in the past, but mostly space shooter games. The beginning scene, was great, when you get see the mansion for the first time. The story being put in mansion is what made the game. You explore the whole mansion, the outside and a secret laboratory. For those of you who have seen the movie but not played the game. 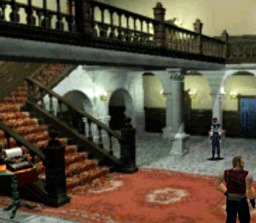 Most of the game takes place in the mansion, unlike the movie which goes directly into the lab. If you still own a Playstation/PS1, and never played this game on this system, you should check it out. 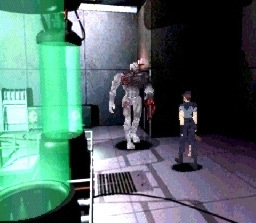 It's always good to see how technology has advanced through the years.The graphics on Resident Evil were known to be cutting edge in 1996. If you dont own this system, dont bother playing this and go directly to the Gamecube remake edition. What do you think of this game? 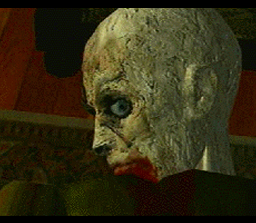 Click here to discuss Resident Evil (PS1) in our forum.